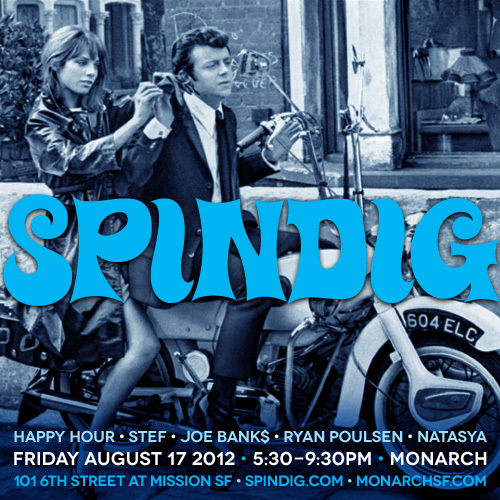 Spindig Happy Hour jumps off at 5:30. Congratulations to Ryan Poulsen, the new daddy! Filling in will be our special guest DJ, Natasya.